Mary Baker Eddy is one of New England’s great religious thinkers. The founder of the Church of Christ, Scientist, Eddy owned and occupied multiple houses throughout Massachusetts and New Hampshire. 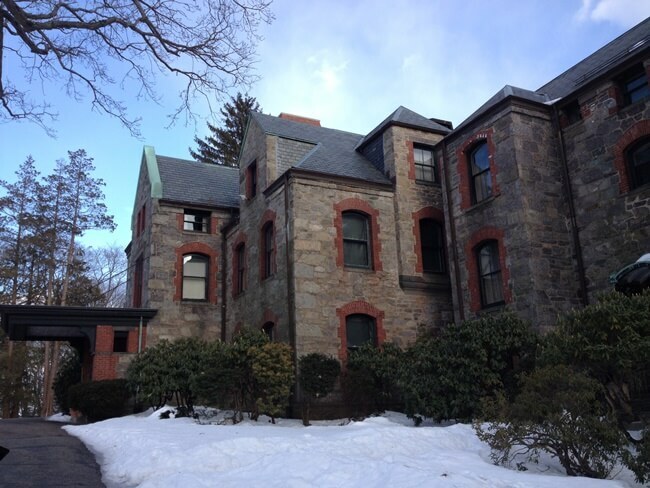 The magnificent property at 400 Beacon Street, which includes the large stone and brick eclectic Gothic Revival house and carriage house in Chestnut Hill, just west of Boston, was her last residence, where she lived from 1908 until her death in 1910. Originally built for the Dupee family by architects Peabody & Stearns in the early 1880s, Baker bought and expanded upon the main house and made it into both her home and office. Upon her death, Baker bequeathed the property to the church, and in 2005 the Longyear Museum, an organization dedicating to preserving the homes of Baker, purchased the building for use as an historic house museum. 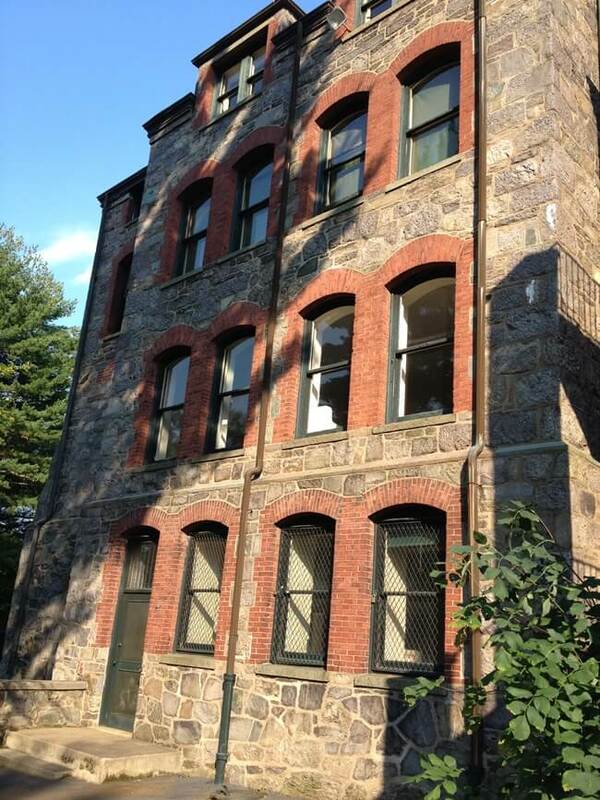 In 2015, the Longyear Museum received a $500,000 Cultural Facilities Fund grant from the Massachusetts Cultural Council for the restoration of the 400 Beacon Street house. This grant went to fund Phase One of the restoration plan for the building, which included exterior masonry repairs, select roof replacement, installation of new water and sewer lines, accessibility upgrades, restoration of the kitchen spaces, and window restoration, for which M&A was the contractor. For select windows on the south, west, and north elevations of the building, M&A removed and restored more than sixty window sash as well as four historic exterior storm windows in our restoration carpentry shop. Great lengths were taken to ensure that the historic colors, hardware, and glass were preserved, refurbished as needed, and reinstalled to ensure the historic integrity of the structure was preserved as much as possible. The completion of Phase One was celebrated by the Board of Trustees and esteemed guests during February of 2016, where discussions of Phase Two work also took place. As Phase Two of the 400 Beacon Street Restoration project gets under way once sufficient funds are raised, M&A hopes to remain the Longyear Museum’s preferred window restoration contractor.